Chateau Léoville Las Cases, the beloved Second Growth, will jump into the second-wine market with its own bottling, Petit Leon de Léoville. The first vintage released will be the 2007, Decanter.com reported recently. In typical second-wine fashion, Petit Leon de Léoville will be produced “from young vines and vats that are not of the right quality level,” d’Alton said, which will not only make a more rigorous selection for the grand vin possible, but which will also result in a second wine that will be drinkable well before its big brother is. This is great news for fans of Léoville Las Cases, which has, in recent years, produced a string of absolutely stellar wines. 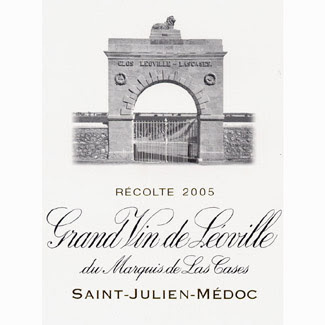 Between 1999 and 2006, no Léoville Las Cases received less than 94 points from the Wine Spectator and, on a personal note, the 2000 was one of the most remarkably perfumed, balanced, and elegant young wines I’ve ever tasted. If this new second wine makes the first one even better, we’re all in for a treat.